Today, software verification is vital for safety-critical and security-critical applications applied in industry. However, specifying large-scale software systems for efficient verification still demands high effort and expertise. In deductive verification, design by contract is a widespread software methodology to explicitly specify the behavior of programs using Hoare-style pre- and postconditions in a modular fashion. During verification, a method call can either be replaced by an available method contract or by inlining the method’s implementation. 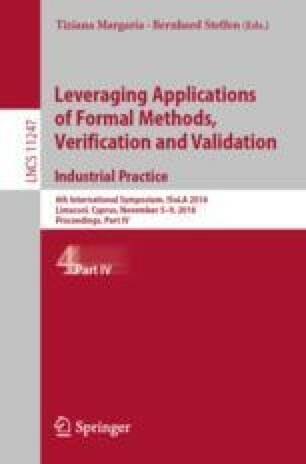 We argue that neither approach alone is feasible for verifying real-world software systems. Only relying on method inlining does not scale, as the number of inlined methods may lead to a combinatorial explosion. But specifying software is in itself notoriously hard and time-consuming, making it economically unrealistic to specify large-scale software completely. We discuss circumstances in which one of the two approaches is preferred. We evaluate the program verifier KeY with large programs varying in the number of method calls of each method and the maximum depth of the stack trace. Our analyses show that specifying 10% additional methods in a program can reduce the verification costs by up-to 50%, and, thus, an effective combination of contracting and method inlining is indispensable for the scalability of deductive verification. This work was supported by the DFG (German Research Foundation) under the Researcher Unit FOR1800: Controlling Concurrent Change (CCC). We gratefully acknowledge Richard Bubel for fruitful discussions and valuable feedback throughout this work.